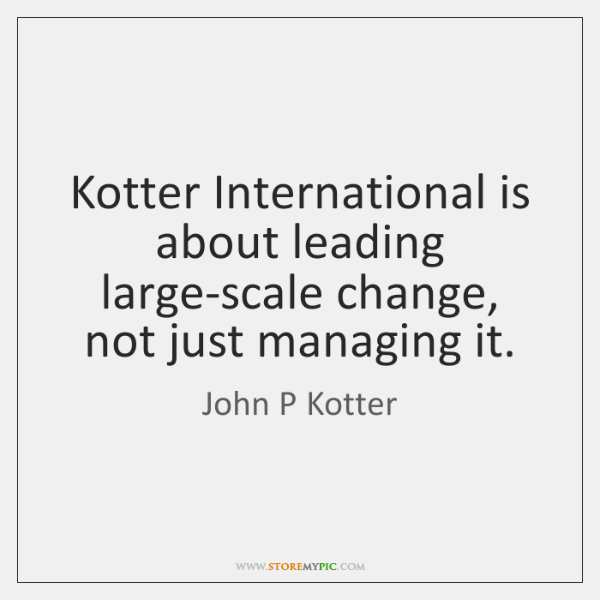 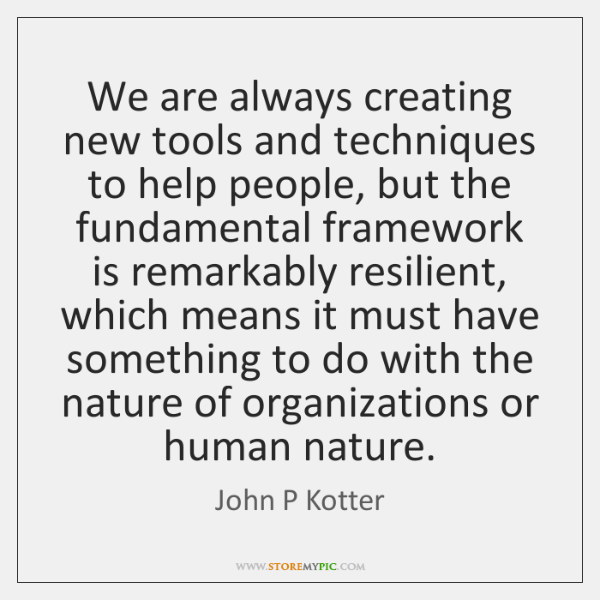 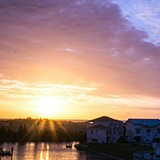 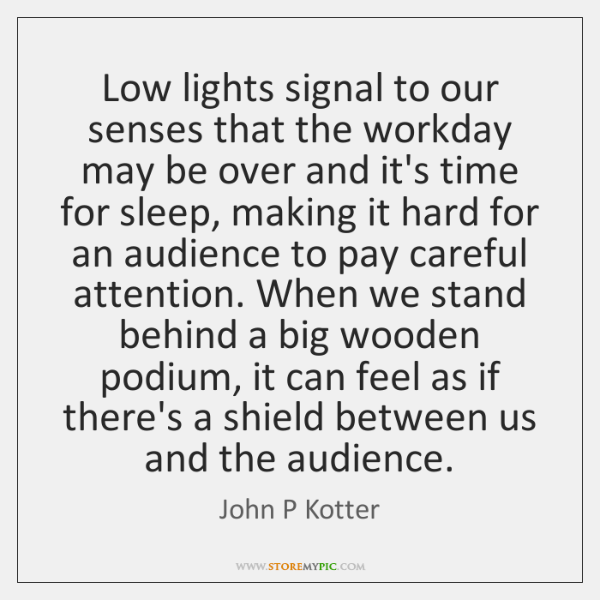 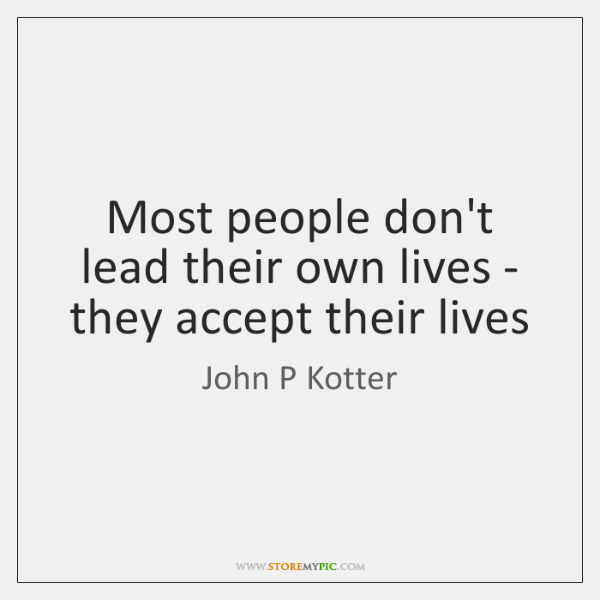 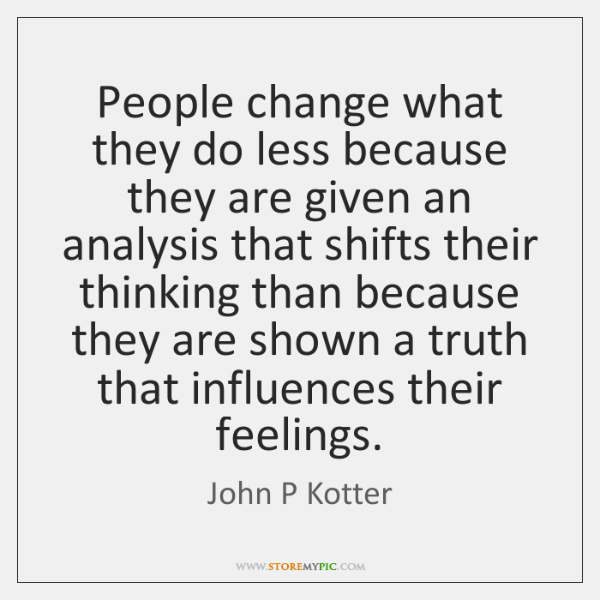 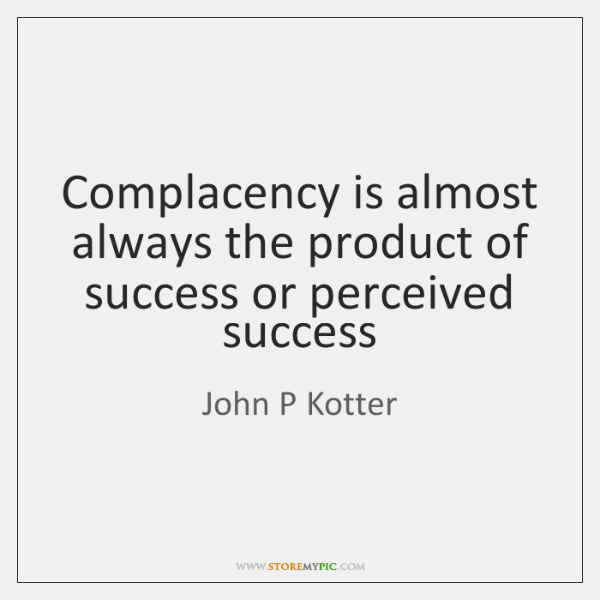 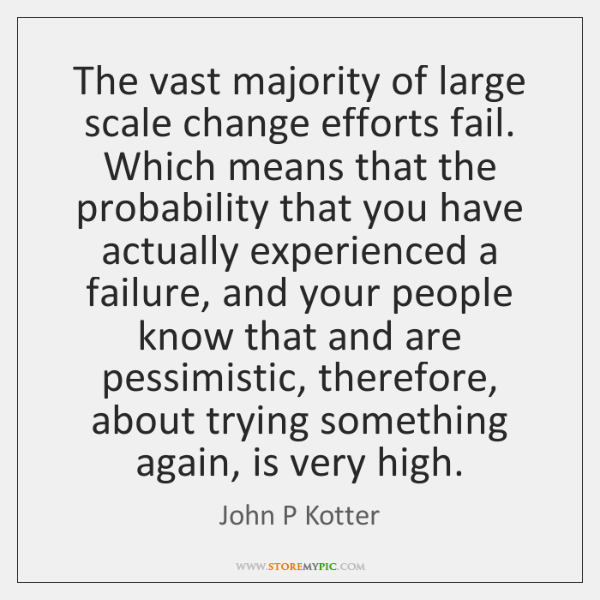 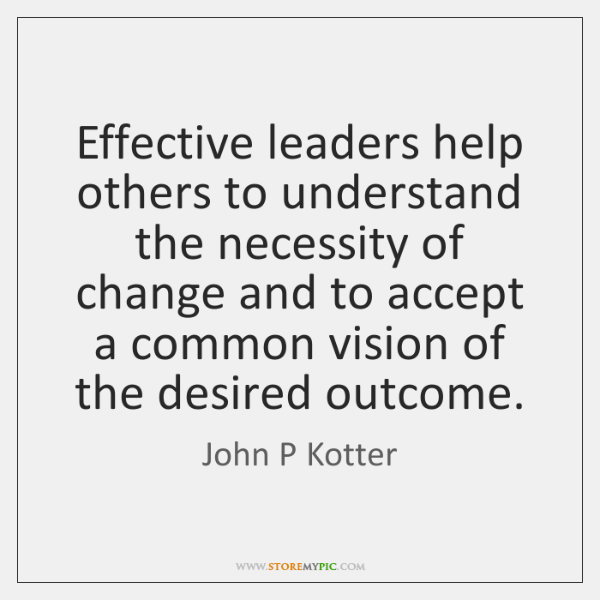 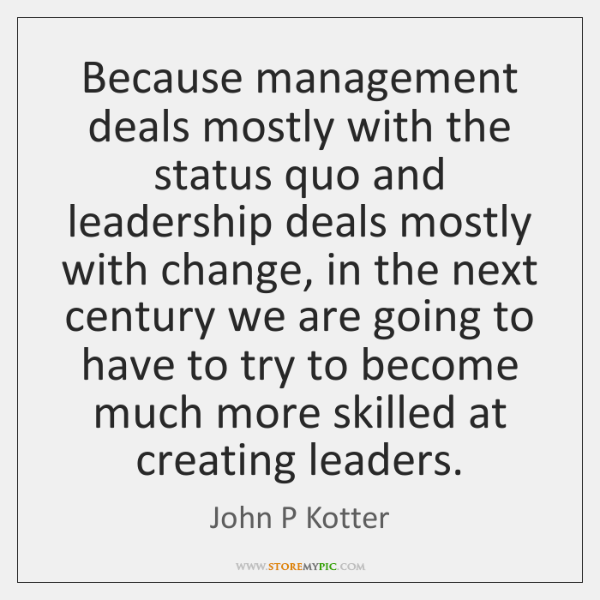 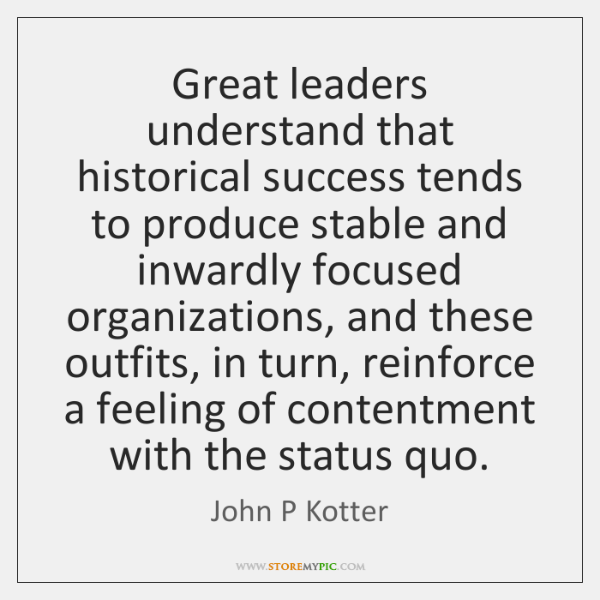 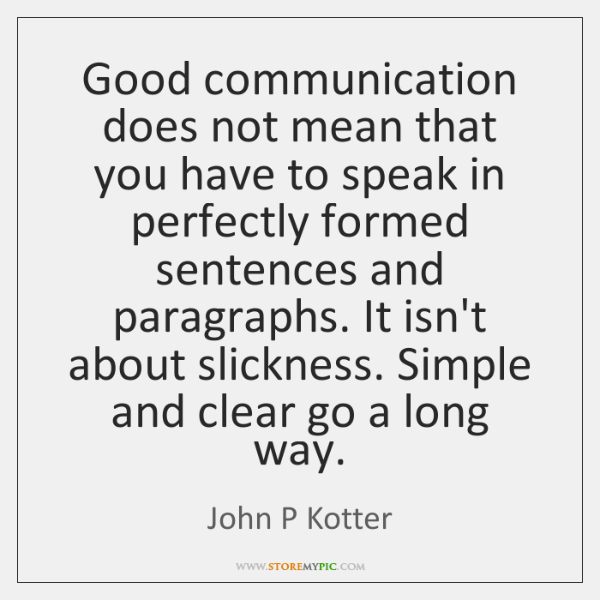 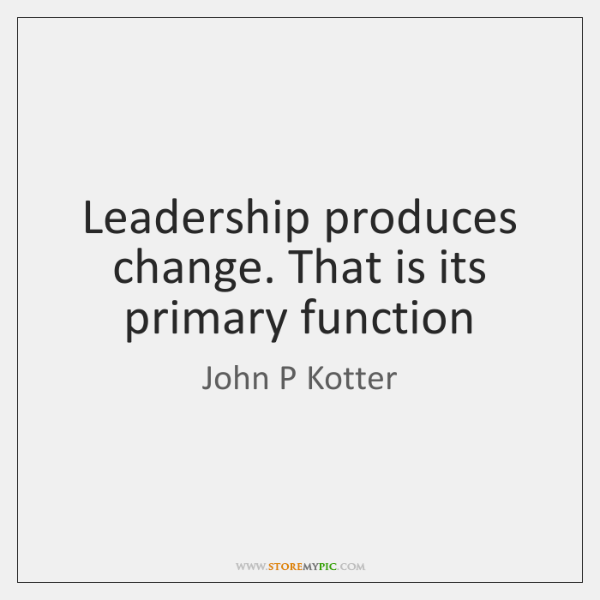 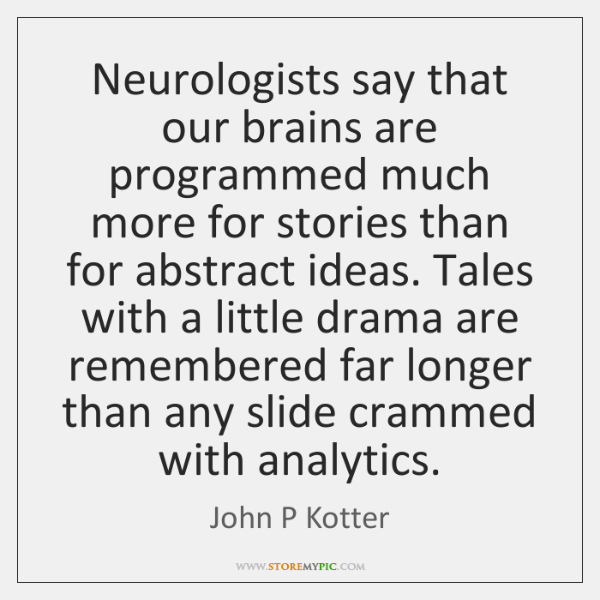 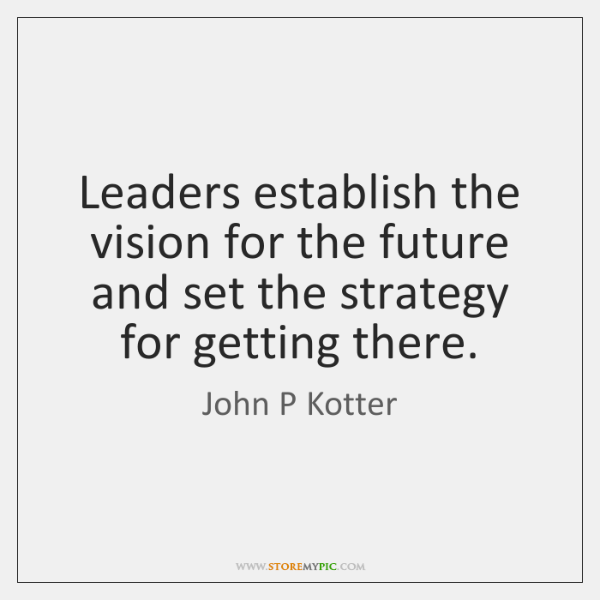 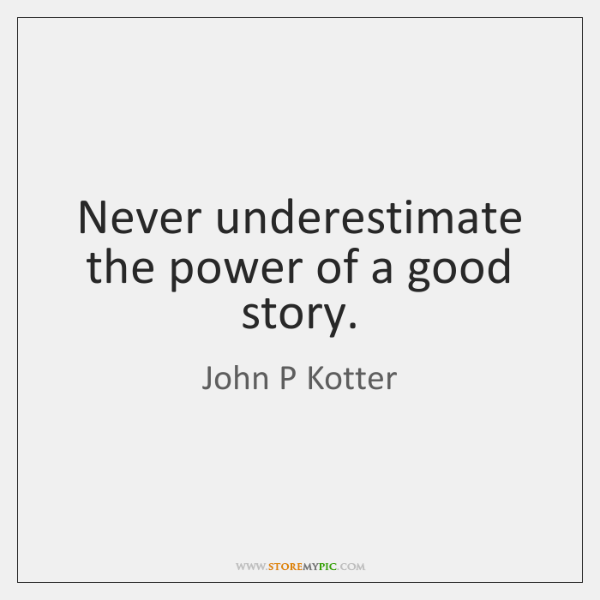 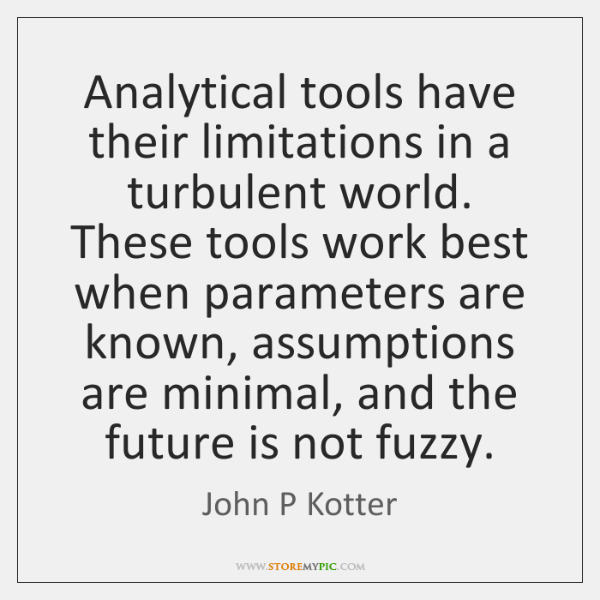 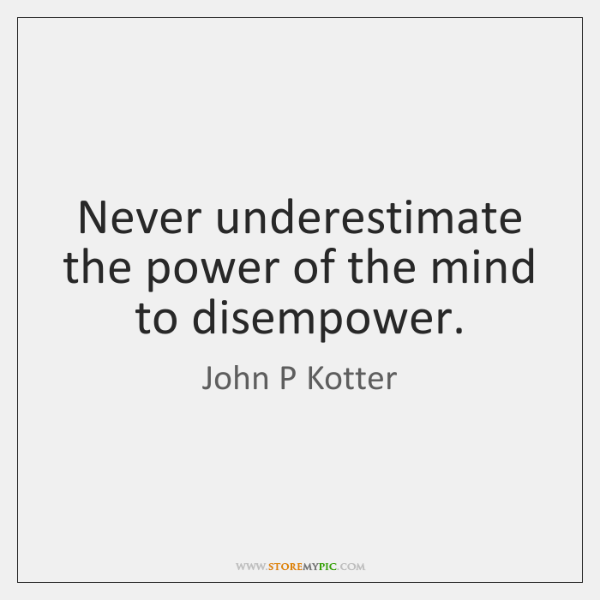 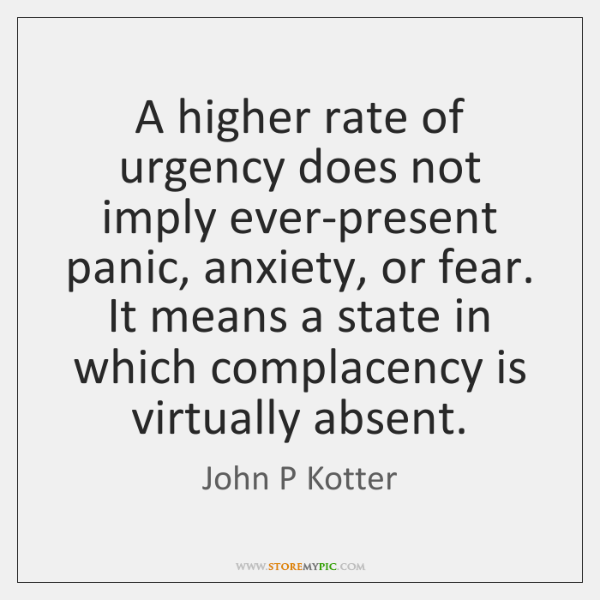 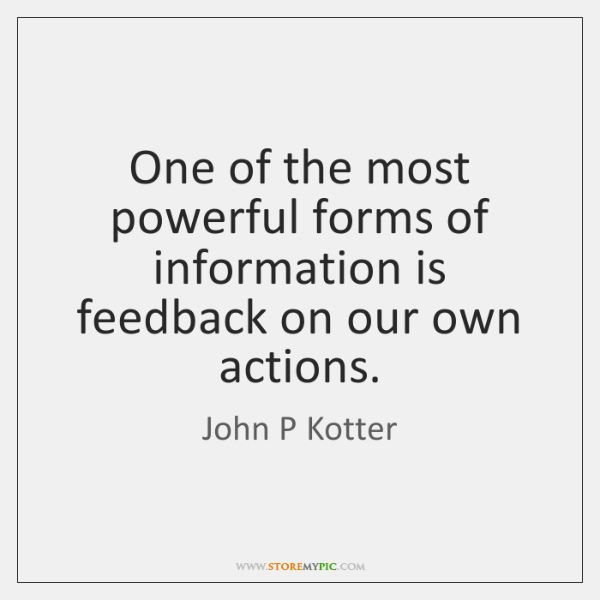 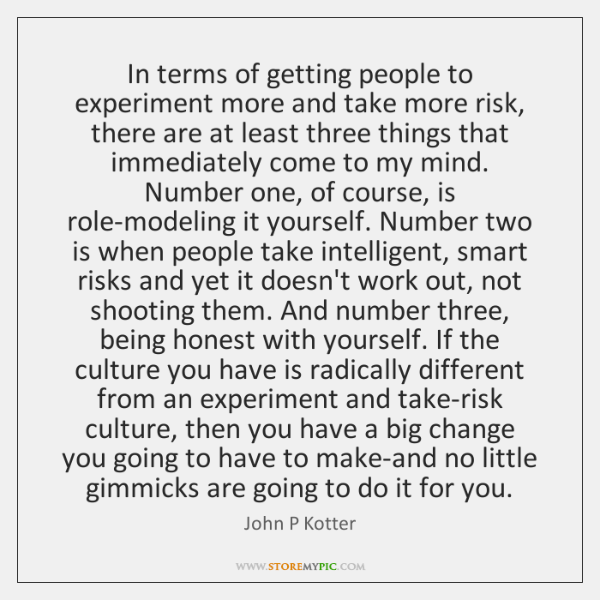 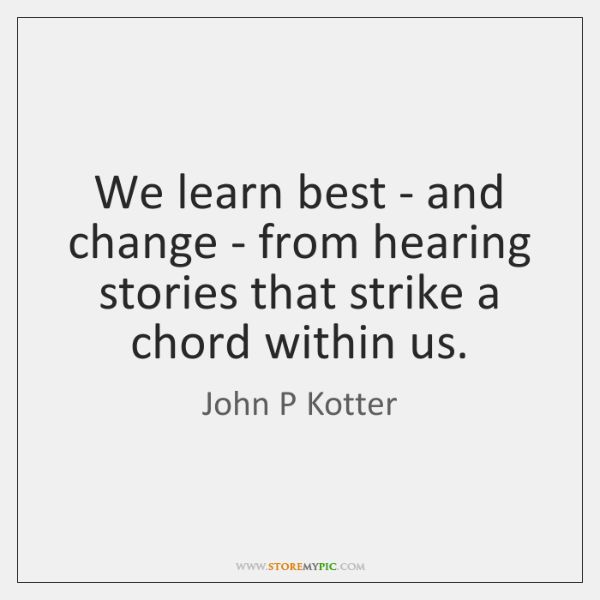 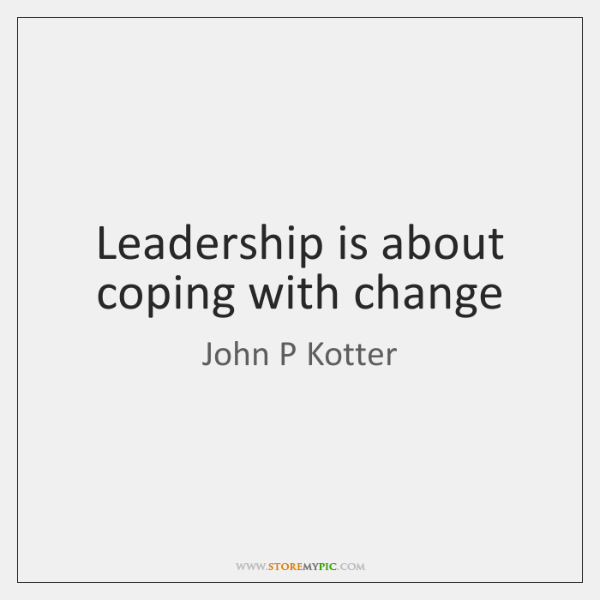 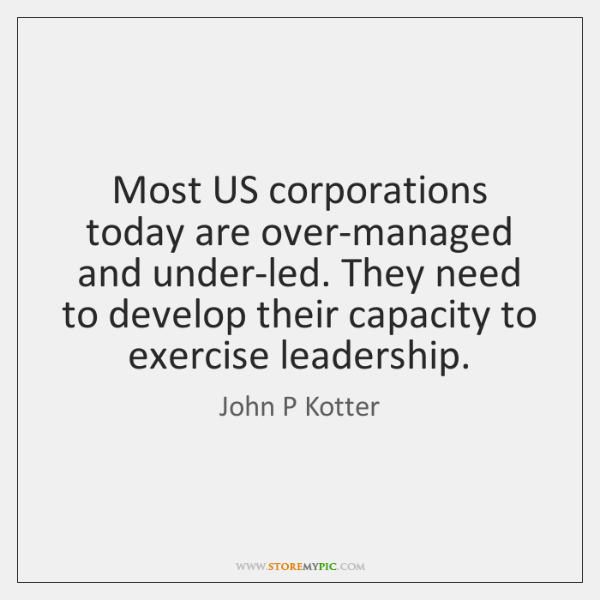 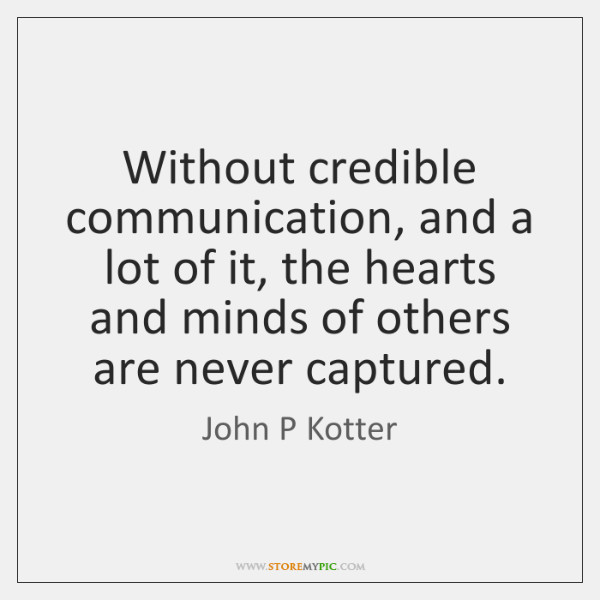 Kotter International is about leading large-scale change, not just managing it. 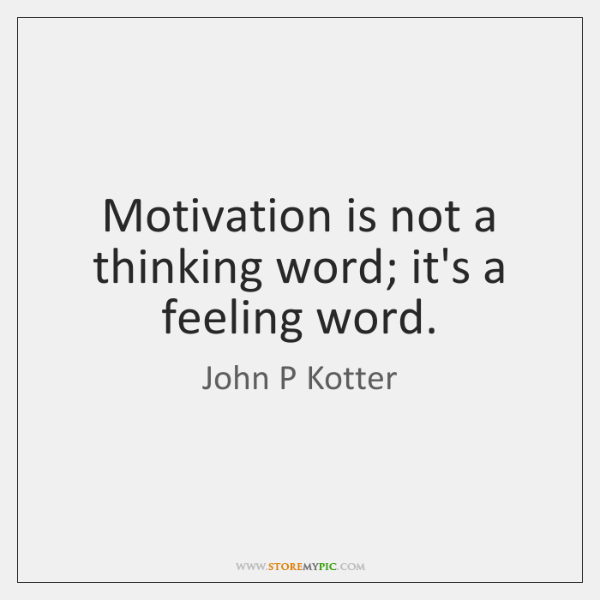 Motivation is not a thinking word; it's a feeling word. 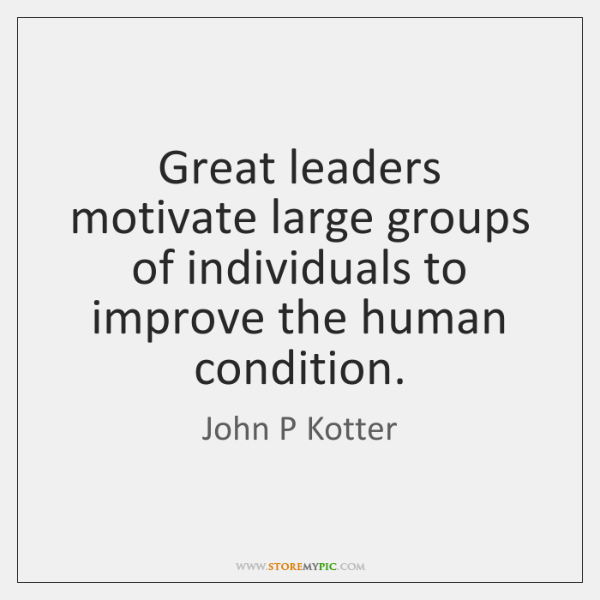 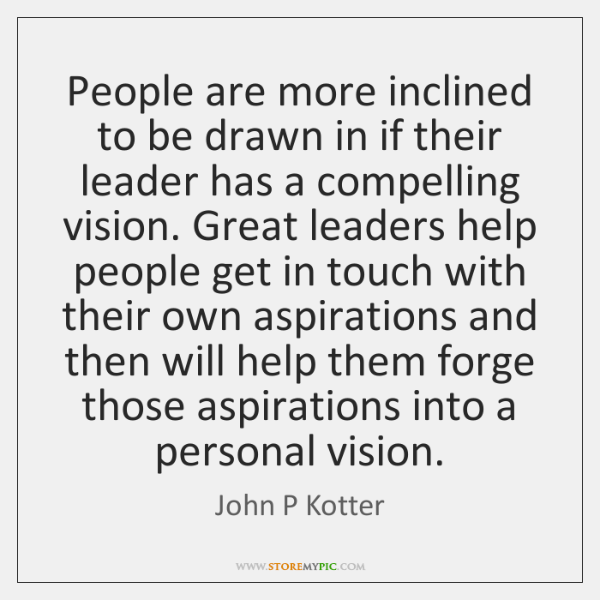 Great leaders motivate large groups of individuals to improve the human condition. 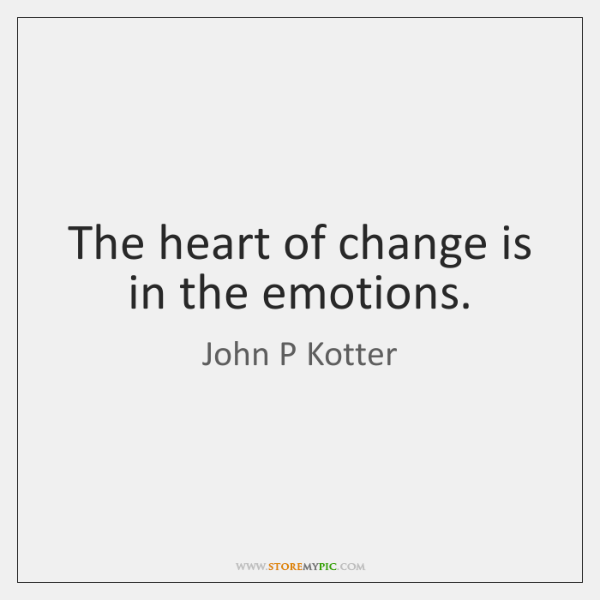 The heart of change is in the emotions. 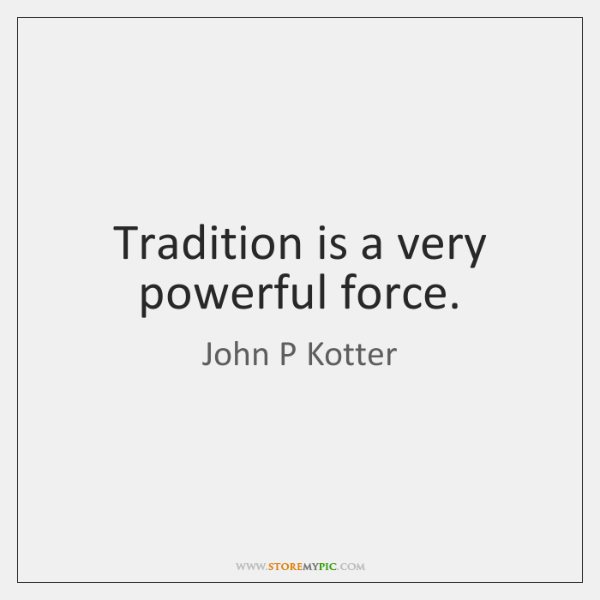 Tradition is a very powerful force. 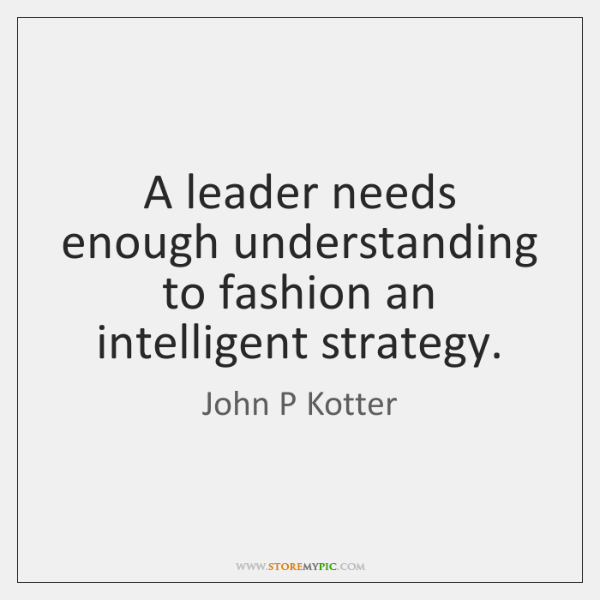 A leader needs enough understanding to fashion an intelligent strategy.